My new crafty love is clay. Clay is great for little hands. Your little one can pound it and smush and mold it into different shapes. There are some you can bake and some that air dry, Some come in different colors and some come ready to paint. 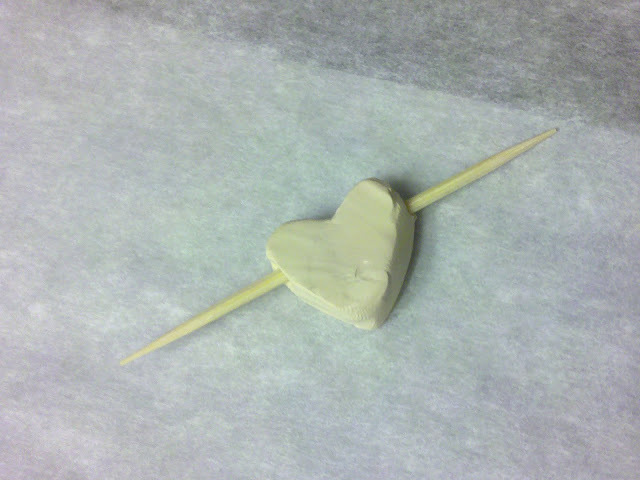 Today we made heart necklaces out of polymer clay. We painted them and even through on a dash of modpodge and glitter (also great for hiding fingerprint smudges and imperfections. This is a great activity to do together with your child. 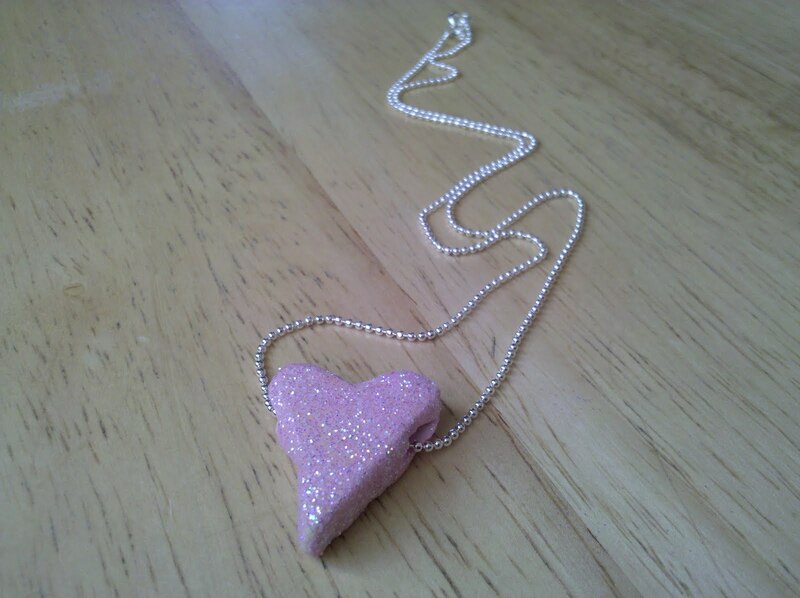 Muffin Tin Girl and I now have "matching" clay heart necklaces (hers is white and mine is pink). And Muffin Tin Boy made me a special keepsake heart. Polymer clay heart necklaces are simple to make. However, there are a few tips and tricks to be aware of. The first being: Don't expect perfection. Clay is a fickle thing. Just the slightest touch by a hand can change it's shape. Use a gentle touch. However, if you are doing this with kids, just let them do whatever. Seriously, you won't win. I tried. 1. 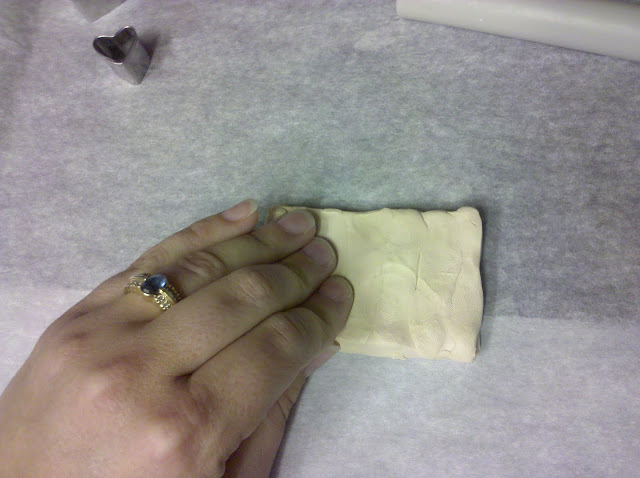 According to the clay package directions, knead the lump of clay for 2 minutes. 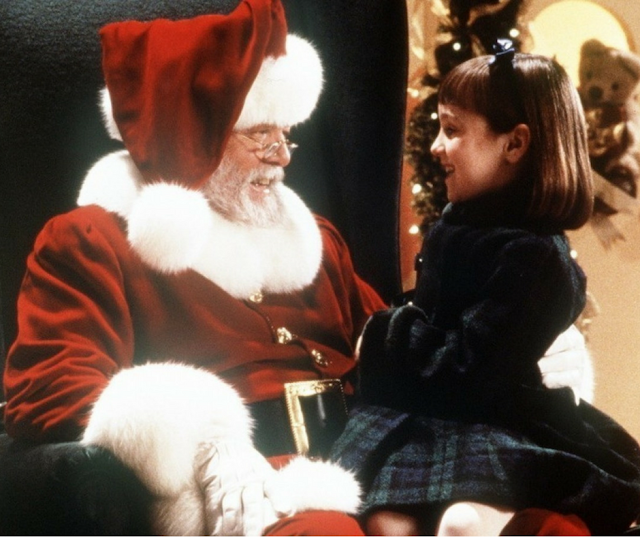 My kids loved this part. 2. Roll out the clay so it is around 1/4 to 1/2 inch. 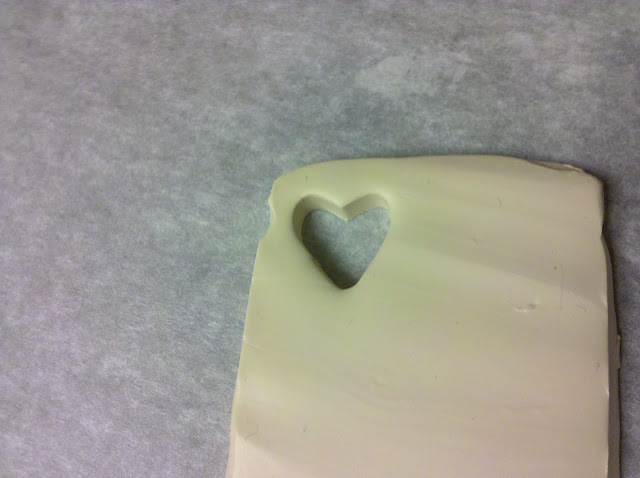 Using the shape cutter, punch out a heart. You want it to be thick enough to make a hole in the side. 3. Be careful not to smoosh the heart too much (with kids this may be impossible to control). Poke a knitting needle or toothpick through the side (Doing it through the top is much easier, and might work better for younger kids, but doesn't lay as flat). This is important: Make sure the hole is large enough for a chain to fit through before you bake it! 4. Bake according to package directions: Typically 15 minutes at 275 degrees. Let cool completely before handling. 5. Paint as desired. If you buy the clay colored, you can skip this step. It does come in a rainbow of colors, but my kids liked painting it. 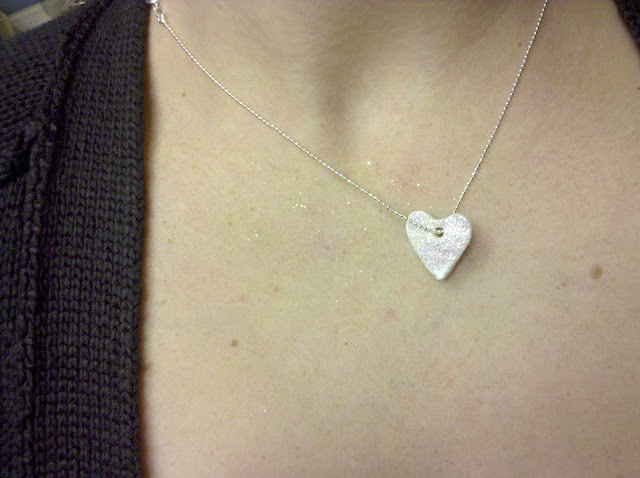 Optional step: add light coat of Mod Podge decopauge glue and sprinkle on some glitter. Below is an example of the hole at the top of the heart. 6. Let dry, string the completed heart on a necklace chain and wear with pride and when people compliment you on the necklace, you can say "My son/daughter made it!" or "I made it!". This is very cute. I think my daughter would love doing this. Thanks for sharing! sweet! i've never worked with clay before... although sometimes my cooking resembles it. I love it! 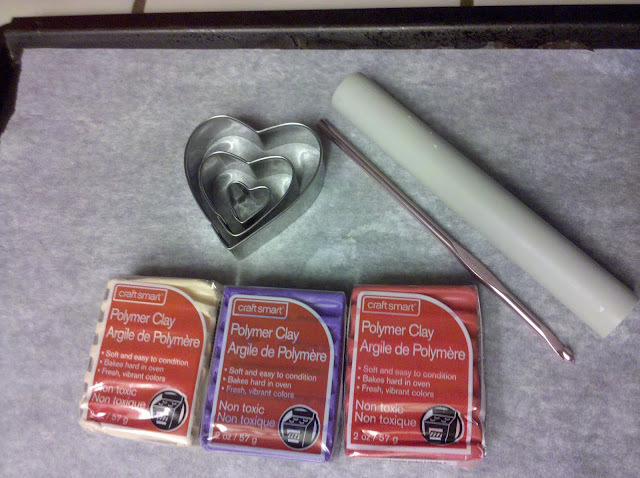 We haven't done polymer clay in quite a while. I bet KarateKid would love to make a set of these for all the special ladies in his life - hopefully including ME! love it!! Im going to have to try this with my 3 kids!! I love this and printed out the direction so I can have to do with the boys in the next few weeks before Valentine's Day! I love your tutorial! I will try this out with the girls! what a cool project and so simple to do with kids. Especially if you let go of perfection and just let them have fun. Another great idea! I tried this with my daughters & neighbor kids today. It was a huge success! It was fun, pretty easy, and everyone is in love with their new necklaces! Thanks for the great idea!! Very fun idea! Thanks for sharing. I'm going to show my 13 yo! I love this idea -- looking forward to trying it out with my kids! Please let me know if this is not okay. Thank you! super easy and beautiful! Oh, thank you! Thanks for linking up this great idea! I love it! Great idea to do with our granddaughters...the three oldest are 4, 6, and 8. Thank you for sharing. I love this tutorial. I can see my cubby's making these now and feeling so good about making something themselves for their moms/grandma's. 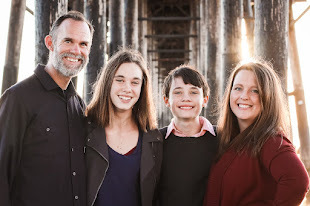 I blogged about this project, hope you don't mind.